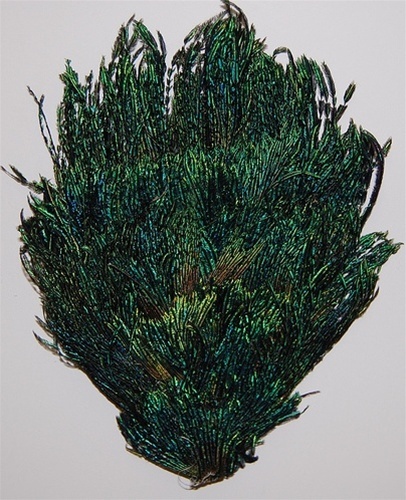 Peacock Natural Flue Pad, A Greenish Blue Natural Hairy look. Good for Millinery, Crafts, Headbands, Handbags and various other items. Sold by theDOZEN only.